In the new collection of Living Room furniture, @Home brings you the new Ginny one-seater sofa in a rich black and brown combination. The sofa has cushioned seating to ensure comfort. The structure is made of mild steel and is sturdy. 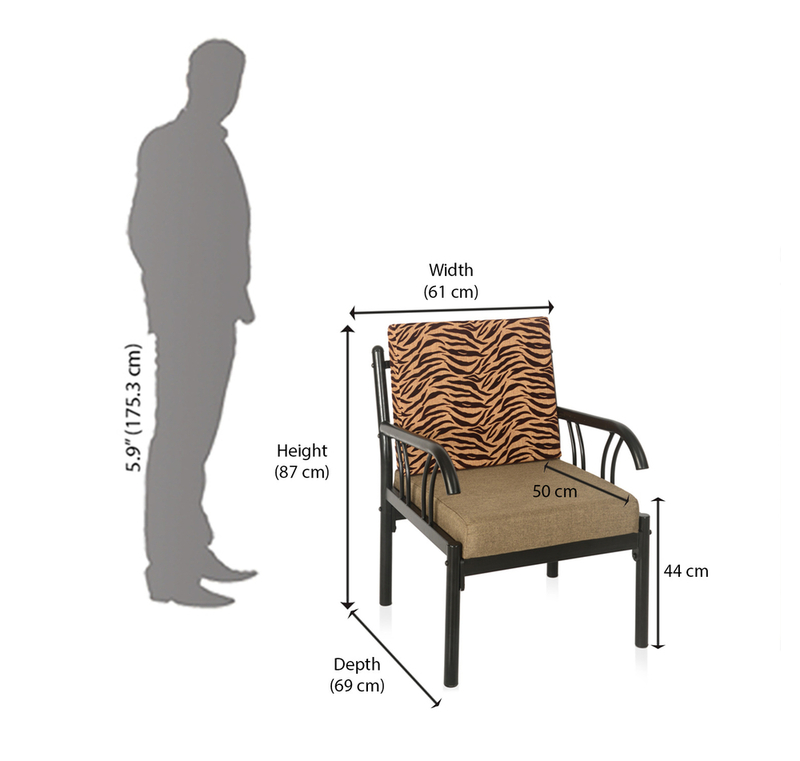 With a length 710 mm, breadth 620 mm and a height of 855 mm it will take up some space in your living room. However, the sofa weighing 12 kg, can be moved around easily. The matte finish of the fabric calls for attention and the beautiful leopard print of the back rest adds a nice touch to the room in which it is placed. The Ginny black and brown sofa affords comfortable seating to one person of average size and a little beyond. Placed in your bedroom or your living room, it serves as a great spot to sit and relax in. The leopard print of the back rest and the rich combination supplies great aesthetic appeal to the product. As it doesn’t weigh much, it can be easily moved around, making it easier to restructure the furniture in your home. Make space for variety in your modern home decor and purchase the Ginny one seater sofa today, from @home furnishings.